Franz Ollendorff received the IEEE James H. Mulligan, Jr. Education Medal in 1971 for "contributions to the teaching of electrical engineering, especially the preparation of classic texts on electromagnetic fields, and for leadership in building a distinguished program in a new institute." Dr. Ollendorff was born on March 15, 1900 in Berlin. For the first decade of his career, Ollendorff worked as an engineering researcher at the T.H. (Technical University) Danzig and Siemens-Schuckert, and eventually became head engineer of the Electrical Laboratory at the T.H. Berlin-Charlottenburg. In 1933, Ollendorff pursued in a new path. After being discharged by the Nazi government, he temporarily left his work as a researcher and became dedicated to the education and rescue of Jewish school children. After his dismissal by the Nazis, Ollendorff began teaching at the Jewish public school in Berlin. One year later, the school and its staff relocated to Jerusalem. Ollendorff returned to Germany in 1935 to work with the Youth Aliyah organization to organize the movement of Jewish children to Mandatory Palestine. His devotion to youth continued throughout the rest of his life. 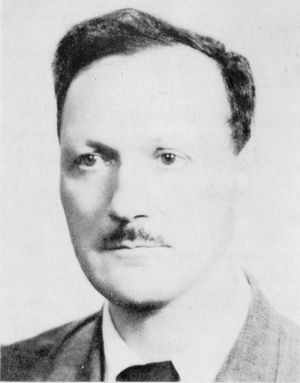 The Gestapo expelled Ollendorff in 1937, and two years later, he joined the faculty of the Technion-Israel Institute of Technology as Professor of Electrical Engineering and Physical Electronics. Ollendorff worked not only with university students, but also taught at the vocational high school affiliated with the Technion. Ollendorff published numerous technical articles and books throughout his career. Much of his writings focused on medical engineering as well as the possibilities for applying technology to solve the social and economic problems of his country and of the world. Ollendorff received the Weizmann Prize of the Tel-Aviv Municipality (1948), the Israel Prize for Exact Sciences (1954), the David Levison Prize of the Hebrew University, and an honorary doctorate from the Technical University of Berlin (1960). He was a member of the Israel Academy of Sciences and Humanities and a Fellow of the IEEE. In 1961, he served as Vice President of the IRE. Outside of work, Ollendorff had a passion for playing the cello and enjoyed reading. He died on December 9, 1981. This page was last edited on 15 February 2019, at 20:58.